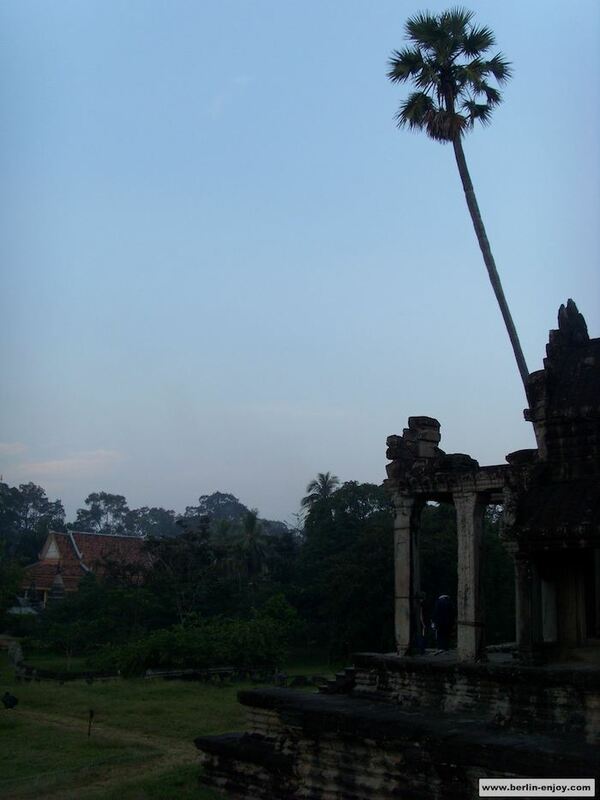 Southeast Asia is one of the most popular traveldestinations. There are many travelblogs on the internet who write about Thailand and the full-moon parties in the south. However, today we will not discuss Thailand but it’s neighbor-country Cambodia. Cambodia is mostly famous for their Angkor Wat temples and this is exactly the travel-tip of today. 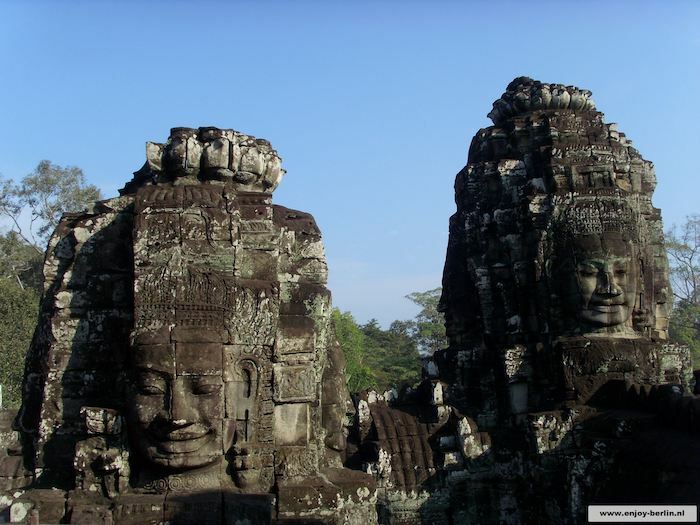 The worldfamous Angkor Wat temple in Cambodia is located in Siem Reap. 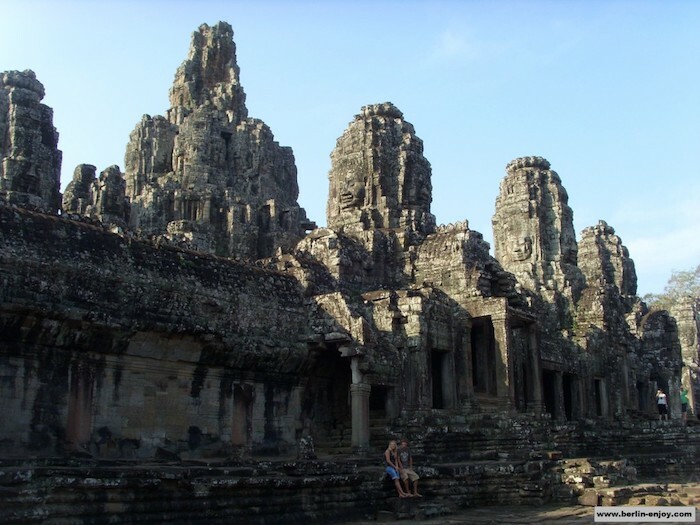 This province is located in the north of Cambodia and is about 250 miles away from Bangkok. When you travel from Thailand to Cambodia or Vietnam, this is the most logical first stop on your tour. 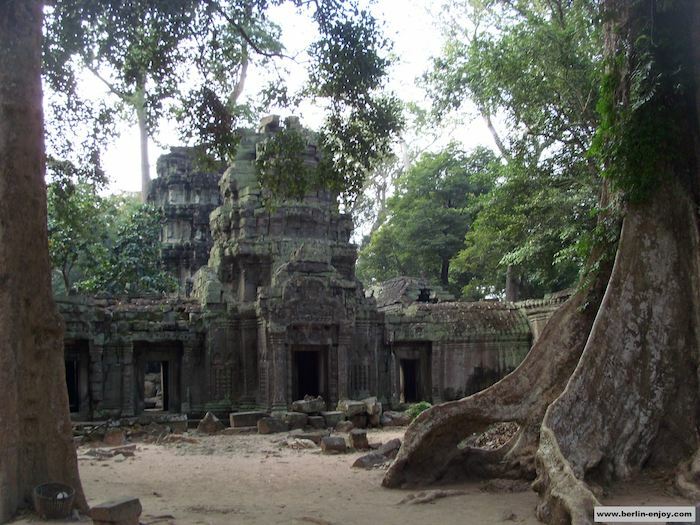 Most of the time you will reach the quite small village Siem Reap by bus. Almost all tourist who you meet in this village, are there for one reason: They want to visit Angkor Wat. Lucky enough there are enough possibilities for accomodation and the town has many cute (and cheap) restaurants to spend the night. 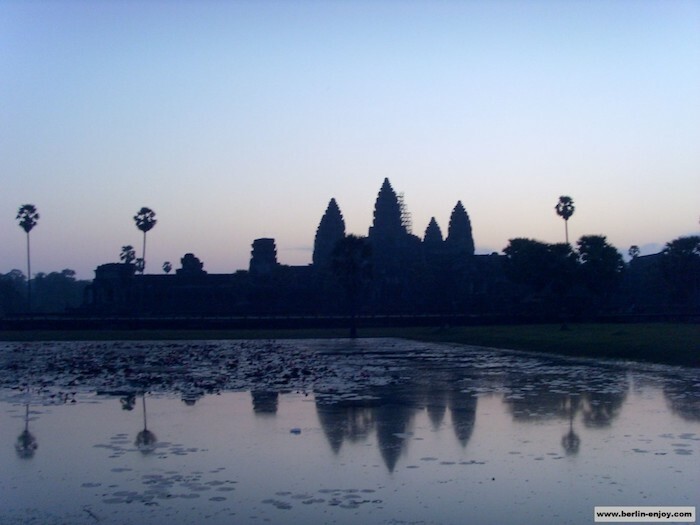 The Angkor Wat was build between 1113 and 1145 and is the largest Hindu-temple in the world. The highest point of the temple is about 65 meter and the total surface of the temple is not less than one square kilometer. 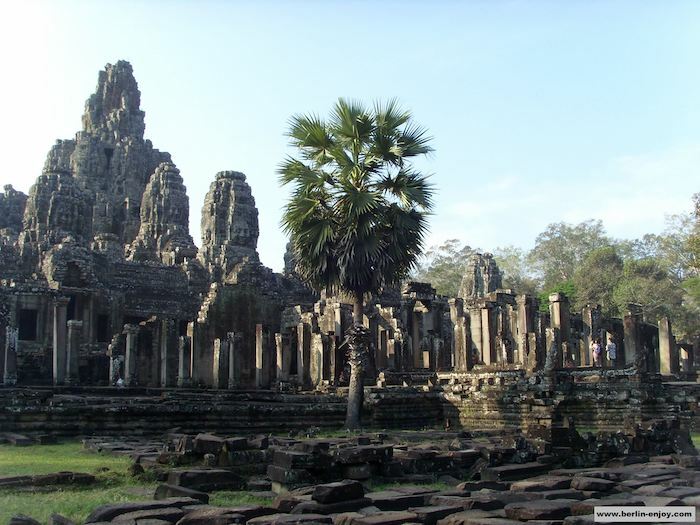 The name Angkor Wat means Temple City and it is the prime example of the classical style of Khmer architecture. When you make the long journey to Camodia and Siem Reap, you should defenitly get out of bed early to experience the temple at it’s best. Make sure you book a taxi (scooter or TukTuk) the day before so you can see the sunrise above the temple. 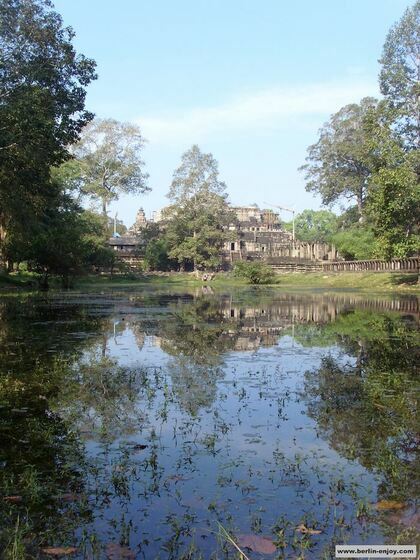 The Angkor Wat is located about 3,5 miles north of Siem Reap so it will take you about 20 minutes to get there. A taxi is about 10 Pounds for one whole day. The entrance to the surface of the Anchor Wat costs 20 Dollar for one day and 40 Dollar for three days. 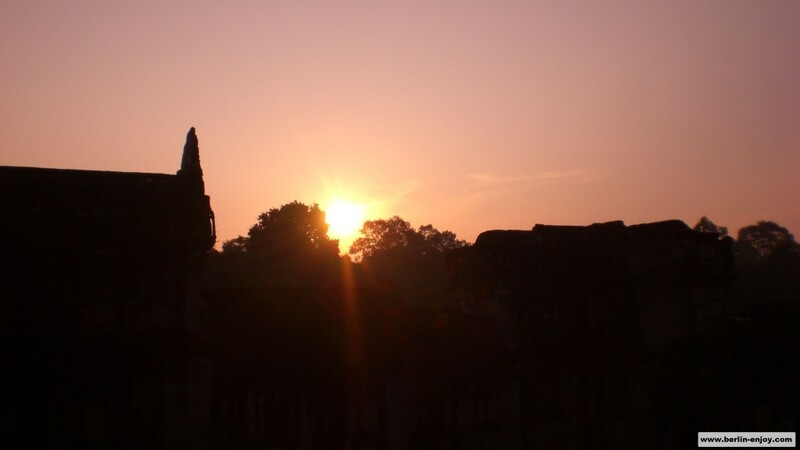 As the photos above show, the Angkor Wat temple is very impressive earlz in the morning. When you think about the fact that the gigantic temple was built almost 1000 years ago, you are impressed even more by it’s extent and beauty. 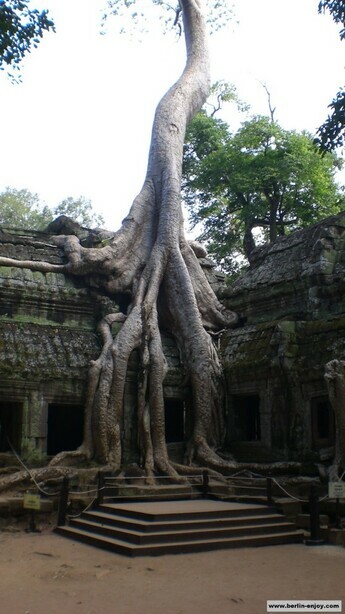 Many parts of the temple became one with the nature and the surface of the Angkor Wat is large enough to enjoy it for at least one full day. When you get hungry there are many small “restaurants” and there are also many (walking) souvenir-shops. 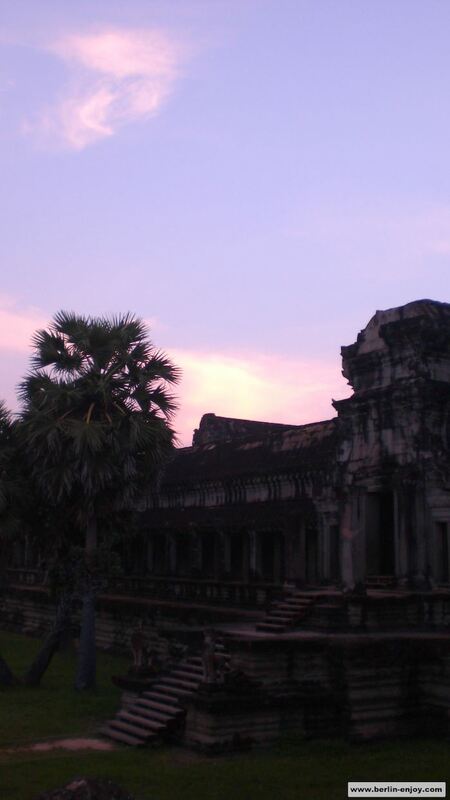 When you visit Cambodia you cannot skip the Angkor Wat. This attraction will be one of the highlights of your trip and you will remeber the day you went to the temple forever. After visiting the Angkor Wat it is advisable to visit the very impressive Killing Fields which are located a little more south in Cambodia. After so much culture you might want to chill at the beach of Sihanoukville. 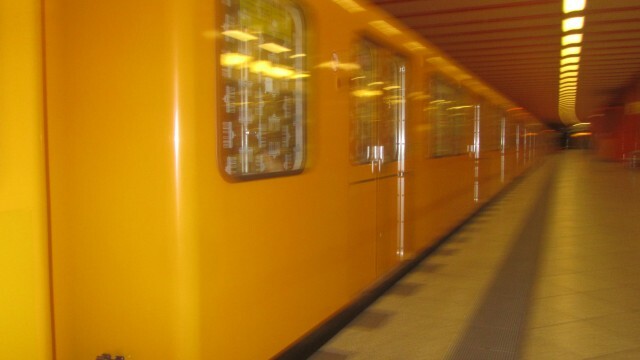 These two traveldestinations will be discussed in future articles on Berlin-Enjoy.